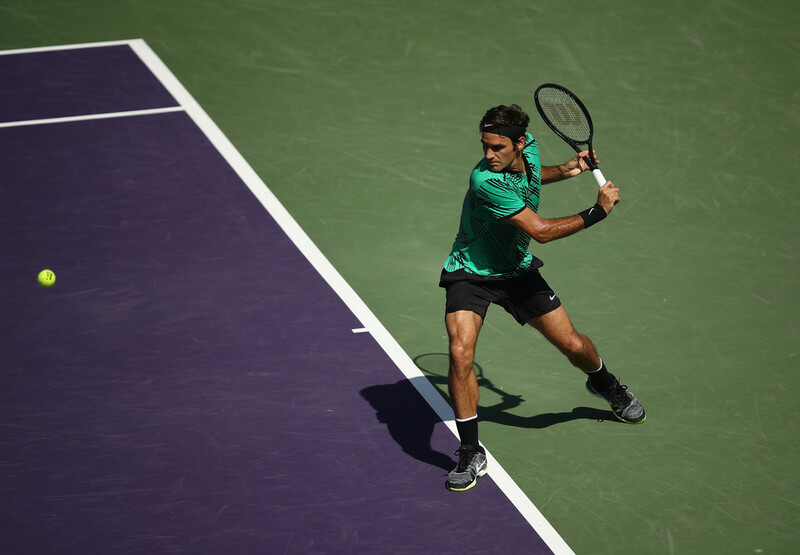 Roger Federer added another big win to his nearly invincible 2017 on Monday, fighting off Argentine Juan Martin del Potro 6-3, 6-4 to advance to the fourth round of the Miami Open. 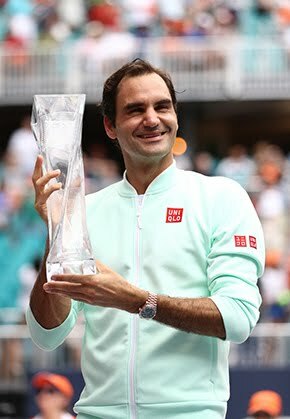 Federer, a two-time Miami champion (2005-06), never lost his serve against the powerful right-hander, who had five break chances but couldn't convert any of them. 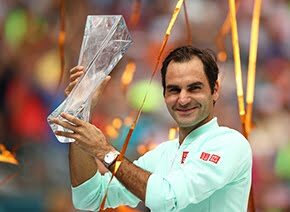 The win improves Federer to 15-1 on the season and 46-13 for his career at the ATP World Tour Masters 1000 tournament. Federer also extends his ATP Head to Head series lead against del Potro to 16-5. Perhaps more impressive, the Swiss star adds del Potro's name to his list of defeated opponents during his comeback season, a ledger that also includes Top 10 players Stan Wawrinka, Kei Nishikori and Rafael Nadal. It was the pair's first meeting since 2013 and having won 15 of the previous 21 encounters, Federer was favourite - but the crowd factor gave the third round match an added edge. "Shortly before I walked out to the court you could sense the atmosphere. That's when I told myself, just be prepared for something different, you know. It was different," Federer said. Federer broke del Potro twice, once in each set, and that was all he needed. "I felt like I was in control and I was able to generate more chances than he did," Federer said. "I feel like I earned it more. I was more the aggressor. It was more on my racquet, and I like it that way," added the Swiss. The first break put him up 5-3 in the first set, and Federer then fought off four break points in the ensuing game before closing out the set. Another break for a 3-2 lead in the second set, not long after del Potro got his oft-problematic left wrist taped on a changeover, put Federer in full control. Serving at 4-3, Federer faced a break point - Argentine fans serenaded del Potro beforehand with "Ole! Ole! Ole!" - but escaped when a serve return sailed long. "It's not easy playing against Roger because he has good forehand, good backhand, slice, drop shot, everything. But I think I did my best," del Potro said. "He played well in the break-point moments and I think that was the only difference in the match." The stadium court, largely empty for the first two matches of the day, was filled - with huge roars greeting both players as they entered for warmups, many fans wearing hats or shirts with Federer's "RF" logo, many others either donning Argentine football jerseys or carrying that nation's flag in support of del Potro. "It was really a great, nice atmosphere," Federer said. "It was a lot of pleasure playing in nice weather, great opponent, great crowd. What else do you need?" The last seven Federer-del Potro matches coming into this meeting all went the distance, with some classics - the 4 1/2-hour, three-setter at the 2012 Olympics at Wimbledon where Federer prevailed 19-17 in the third, Federer rallying from two sets down in the French Open quarterfinals that year, and del Potro winning the 2009 U.S. Open in five sets for his lone Grand Slam triumph. Federer plays again Tuesday against 14th-seeded Roberto Bautista Agut, who needed three sets to top Sam Querrey of the U.S. Tenth-seeded Tomas Berdych was another third-round winner, beating Gilles Muller 6-3, 6-4. "He competes so well point for point, day in day out, and he plays a ton of tournaments, and he's really just match tough. I hope I can use my variation to really make him feel uncomfortable," said Federer, who leads their ATP Head to Head series 5-0 and is a perfect 12-0 in sets against the Spaniard.